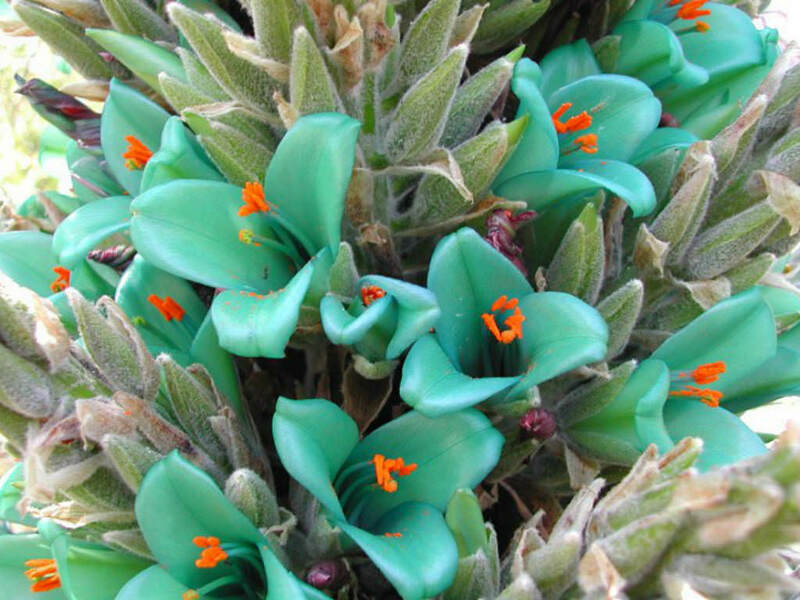 Puya berteroniana is a perennial plant with leaves in tight rosettes. 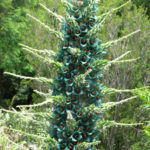 The leaves are long, thin, bent, up to 40 inches (1 m) long, up to 1 inch (2.5 cm) wide, silvery-green in color and have hard spines on the edges. 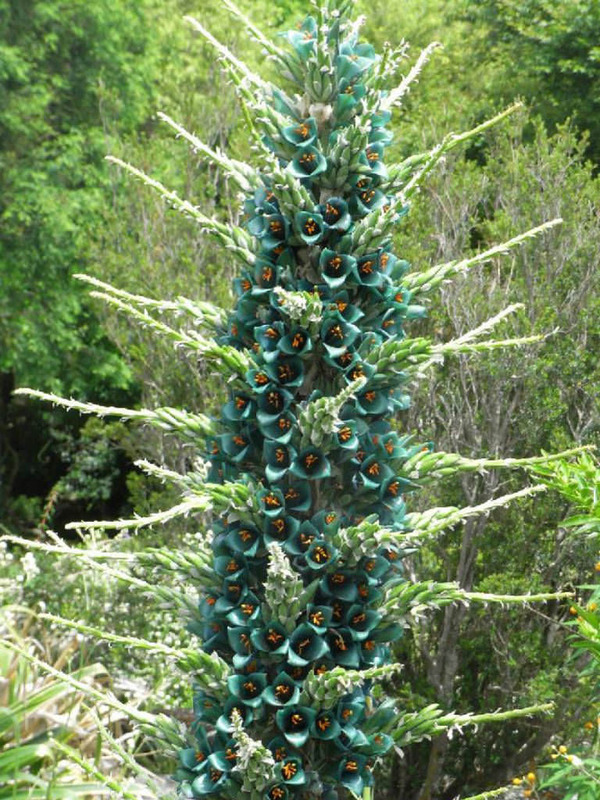 The aqua-blue or blue-green colored flowers are arranged like spikes. Flowers from October to November. 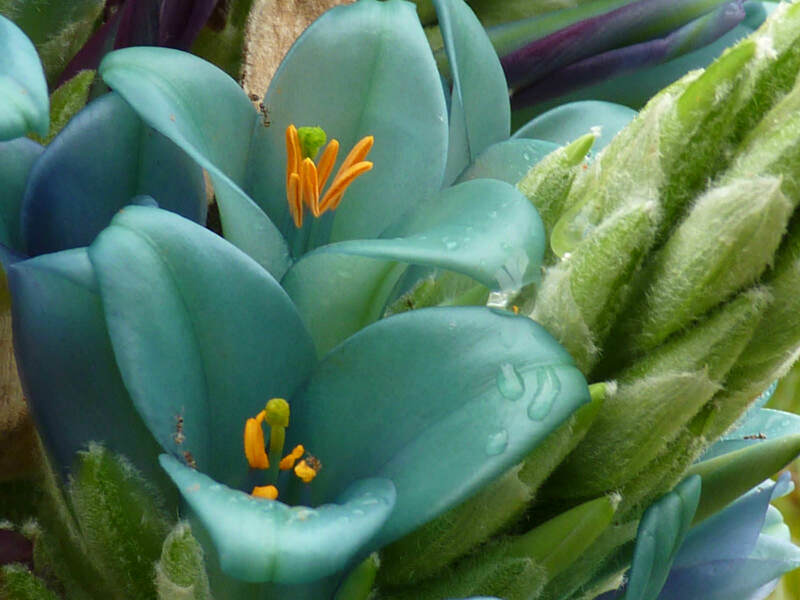 You can get Blue Puya seed and start the plants yourself in a greenhouse. 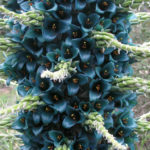 Puya are slow to germinate and require temperatures of at least 70 degrees Fahrenheit (21 degrees Celsius). Use a well-drained potting soil in a seed flat. Keep the seeds moderately moist until they sprout. Once you see seedlings, move the flat to a brightly lit area with protection from the harsh light of midday. 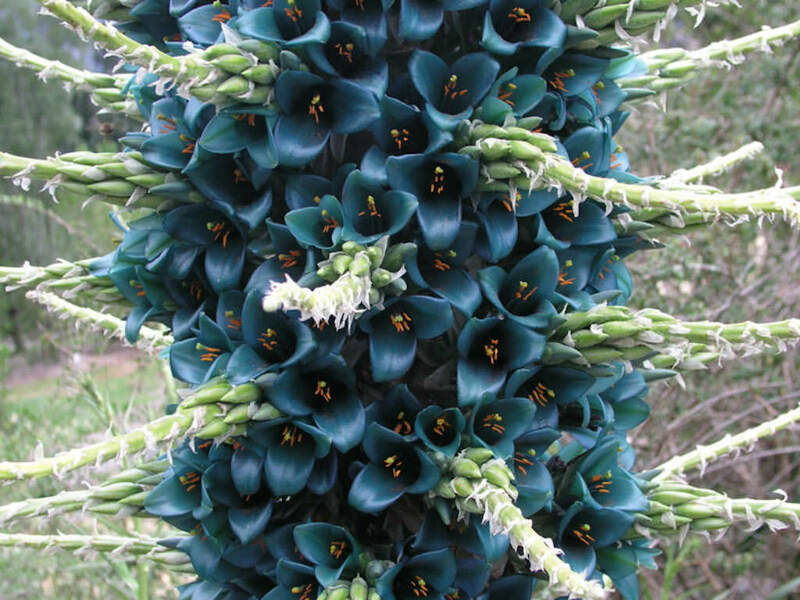 Water Puya plants in the ground once per week in summer. Potted plants should be watered when the top couple of inches of soil have dried out. Water the plant only once per month in winter when the plant is dormant. Fertilize with a diluted succulent food or indoor plant food in spring. 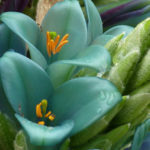 Remove spent foliage from the rosettes for best appearance… – See more at: How to Grow and Care for Blue Puya.